If the fuse switch is in OFF, a warning sign will illuminate on the dashboard. Put all switches in ON when driving. If the vehicle remains idle for over 1 month, put all switches in OFF to prevent the batteries from being discharged. 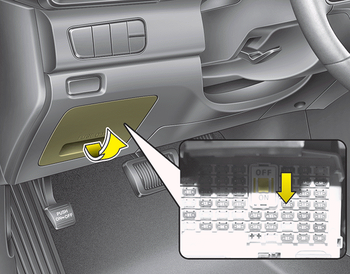 Excluding long-term parking for over 1 month, the contact points of switches may wear out upon extensive use. Please refrain from excessive use of switches.